Competing bids from Comcast and Disney for the bulk of Twenty-First Century Fox come as the media landscape changes and companies get more involved in both creating and distributing content. X-Men and other movies from Fox's studios would help beef up Disney's upcoming streaming service. Comcast, already a major cable operator, would get a larger portfolio of cable channels including FX and National Geographic. Comcast's $65 billion cash bid Wednesday is higher than what many analysts were expecting and tops Disney's all-stock offer, valued at $52.5 billion when it was made in December. 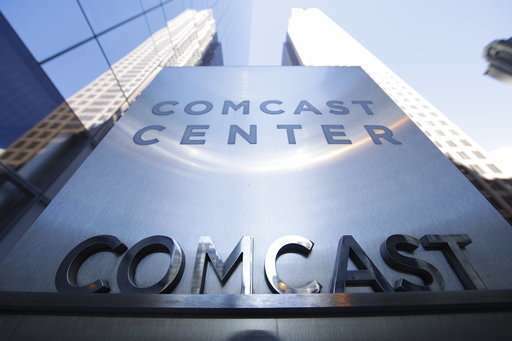 GBH Insights analyst Dan Ives said Comcast's price "speaks to Comcast really wanting these key assets." Disney is expected to make a counter offer. Each bid raises different regulatory concerns, though this week's approval of AT&T's takeover of Time Warner signals that regulators might have a hard time stopping mega-mergers. Fox's film studios, with "Avatar," X-Men, the Fantastic Four and Deadpool, would pair well with Disney's studios. This includes reuniting the Marvel franchises X-Men and the Avengers, as some of those characters were already in Fox's hands when Disney bought Marvel in 2009. Disney also has the Muppets, Pixar and "Star Wars." In fact, Fox and Disney might pair too well, as far as regulatory concerns go. BTIG analyst Richard Greenfield estimates the combined studios make up 45 percent of worldwide box office revenue. A larger studio could use its power to keep its movies in more theaters longer and squeeze out rival movies. Comcast's Universal movie business has such franchises as "Jurassic Park." 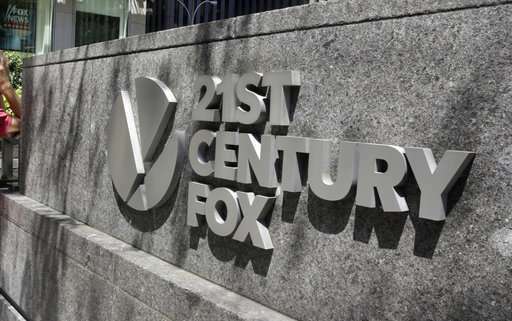 The Fox properties would expand Comcast's reach, though the company would have just 25 percent of the box office with Fox added, according to figures from Box Office Mojo. Fox's TV productions include "The Americans," ''This Is Us," ''Modern Family," and "The Simpsons." Its networks include FX Networks and National Geographic. The Fox businesses would pair well with Disney channels like ABC, the Disney Channel and Freeform. "Modern Family" already airs on ABC. Comcast owns NBCUniversal, including the NBC broadcast network, CNBC and USA. Comcast's studios produce "Chicago Fire" and "Will & Grace," both airing on NBC. Comcast might run into regulatory problems because the cable operator would control a larger portfolio of content along with its distribution. However, a federal judge on Tuesday approved a similar attempt by DirecTV owner AT&T to buy Time Warner. The judge rejected the government's fears that the AT&T deal could lead to higher prices for consumers or hinder online alternatives from getting content. Regardless of which company prevails in buying Fox, the Fox television network and some cable channels including Fox News will stay with media mogul Rupert Murdoch. Disney's deal includes getting Fox's regional sports network, which shows hometown sports in several cities including New York, Los Angeles, Dallas, Cleveland, Detroit and Kansas City. Those networks would complement Disney's nationally focused ESPN. Disney recently launched ESPN Plus, a separate streaming service with more local offerings. That service could benefit from Fox's regional offerings. Comcast already has similar regional networks through NBC Sports, including ones in Boston, Chicago and the San Francisco Bay area. Getting the Fox networks would expand Comcast's territorial reach. Whichever company prevails will control streaming service Hulu. 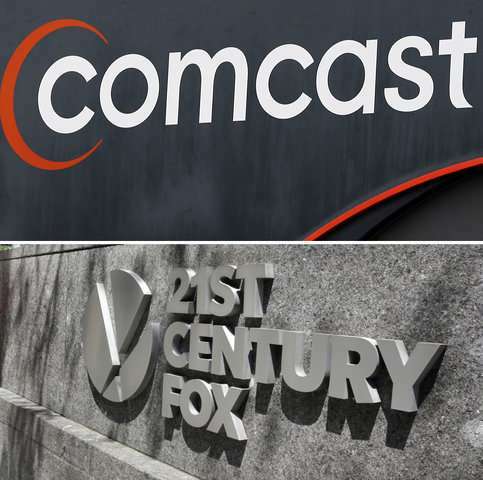 Currently, Comcast, Disney and Fox each has a 30 percent stake, with Time Warner owning the other 10 percent. With Fox's share, either Comcast or Disney would end up with a controlling 60 percent stake. Disney already plans an entertainment-focused streaming service in 2019. If Disney prevails, it could combine that with Hulu or keep them as separate services. 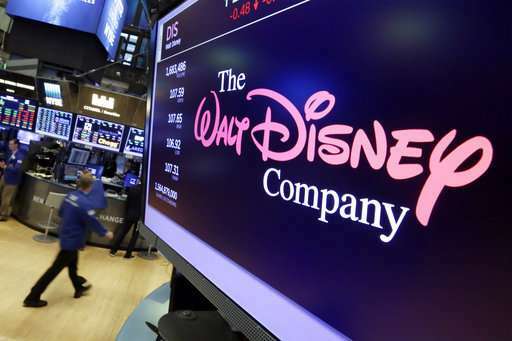 If Comcast prevails, Disney's service could be less appealing, as it wouldn't have Fox video. Comcast doesn't currently have similar streaming ambitions and wouldn't benefit as much from the Fox video. Internationally, Fox's cable and international TV businesses are part of the offerings. That's key for Comcast, which has a limited overseas presence. Disney and Comcast had already been at battle in the U.K. over Sky, an operator of television channels. Fox has a 39 percent stake in Sky and has been trying to buy outright, with the intention of selling the full company to Disney as part of that deal. U.K. regulators have given the OK to that offer if Fox sells Sky News. Regulators there also have cleared Comcast's $30.7 billion offer for the 61 percent of Sky that Murdoch doesn't own. Other international networks include Fox Networks Group International, Star India, Tata Sky and Endemol Shine Group. Comcast and Disney have made extensive use of their portfolios at their theme parks in California, Florida and overseas. Disney, for instance, is expanding its attractions related to "Star Wars." On the flip side, Disney turned its Pirates of the Caribbean ride into a major movie franchise. Comcast's Universal Studios has attractions based on Universal's "Fast and the Furious" franchise. Either company would be able to expand its opportunities with Fox, though the theme parks have historically been able to reach licensing deals with rival studios. Universal, for instance, has rides based on Fox's "The Simpsons" and Warner Bros.' "Harry Potter." Disney has licensed Fox's "Avatar" for its "Pandora" park within Walt Disney World.